The contribution of Black men and women throughout the history of California is often overlooked because it doesn’t easily fit into the established narrative. In Los Angeles, over half of the original settlers were of African descent. These settlers left New Spain for the northern frontier to escape the oppression of the Spanish caste system, just as the racially oppressive Jim Crow laws propelled a similar migration from the American South 150 years later. Pioneers and politicians, as well as entrepreneurs and educators, left an indelible mark on the region’s history. 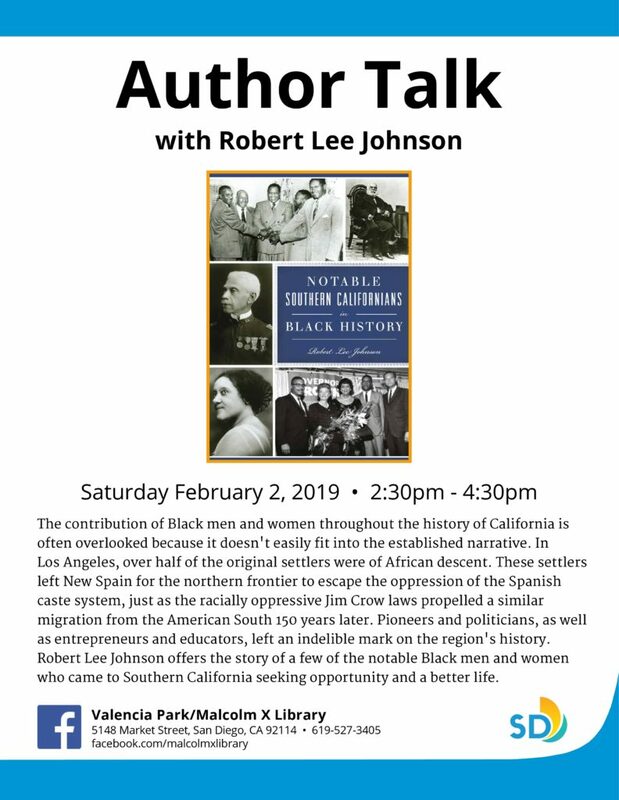 Robert Lee Johnson offers the story of a few of the notable Black men and women who came to Southern California seeking opportunity and a better life for their families. Come early.